Nature's Therapy is a professional line of hair and scalp treatments that are especially beneficial to weak, dry, damaged or chemically processed hair. Each product targets a specific need and gets right to the root of the problem. Formulated with rich natural oils, deep penetrating moisturizers and other scientifically selected ingredients. Delivers a deep yet gentle cleansing action that moisturizes dry skin and removes impurities. Relieves dryness, leaving scalp feeling cool, calm and refreshed. Features a luxurious formula that gently cleanses while nurturing hair and restoring moisture balance. Improves shine and manageability making hair more pliable and easy to detangle. Shields hair against damage from blow dryers, hot irons and other styling appliances. Is an intense deep moisturizing treatment that softens and revitalizes very dry, chemically processed hair. Rich emollients smooth, detangle and tame unruly hair. Is a recovery complex containing Ceramide R to reinforce and protect weakened hair. Leaves hair feeling smooth and looking unbelievably shiny. 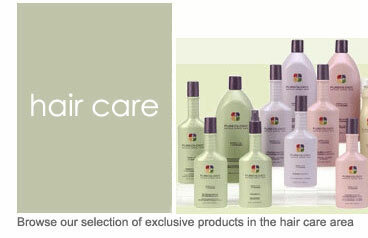 Is a leave-in treatment designed to cool, refresh and lubricate sensitive scalps. Non-greasy texture massages right into skin. Is a treatment and styling aid in one. Shines and defines hair while controlling fly-always and smoothing split ends. Is a light, daily shine treatment that instantly restores luster and brilliance to dull, lifeless and matte hair. WebBeautyStore.com offers Gift Certificates for those who want to give cutting edge gifts which allows that special person to order their favorite Beauty Supplies on-line. We offer a 10% discount on all Gift Certificates. Special Buys & Promotions !! Treat Yourself or a client to the Ultimate Spa Experience! !